There might be occasions when you need to take a break from the usual phone and tablet tasks—emailing, social networking, gaming, messaging—and actually do something productive. If you need to edit files on the go, whether it’s audio from an interview or a PDF sent from the office, these are the apps you need to have on hand, or the websites you’ll need to navigate your phone or tablet’s browser to. You may well get other people sending you files saved in the popular Microsoft Office formats—so .docx for Word, .xlsx for Excel, and .pptx for PowerPoint—and this can cause a problem if you try and open them up on your phone without an appropriate app. The Apple Mail client for iOS, for example, can open basic versions of them, but will mess up the formatting and won’t allow edits. Gmail on Android and iOS will cope better at previewing them, but again isn’t going to allow you to make any changes—instead, it will point you to the official Microsoft apps (as will Dropbox, by the way, if you try and open Office files in that app). The mobile versions of Word (Android/iOS), Excel (Android/iOS), and PowerPoint (Android/iOS) are obvious apps to call on if you get a lot of Office files sent to your phone or tablet. They’ll give you perfect previews of your files, and assuming you’re on a device with a screen less than 10.1 inches in size, they let you make edits too, as long as you have a free Microsoft account. If you have a large tablet, or don’t want to set up a Microsoft account, all is not lost. You can use Apple’s own Pages, Numbers, or Keynote apps for iOS to import and edit office files, though you might get some formatting quirks along the way. Likewise, Google Docs (Android/iOS), Sheets (Android/iOS), and Slides (Android/iOS) will have a stab at opening and editing Microsoft Office files, though the formatting and layout might not be perfectly preserved. Sticking with the theme of office files, you may well get PDFs sent to your phone or tablet that need editing or working on in some way before you can get access to a computer. 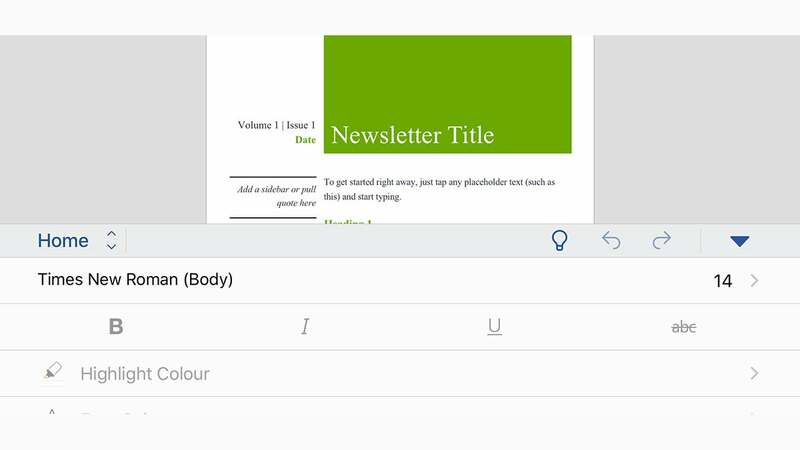 iOS wins here, allowing you to make annotations, edit text, insert signatures and more into PDFs right from your inbox or iCloud Drive without any other apps being installed—just tap the pen icon in the top right of the preview screen. Android will let you view PDFs easily enough from whatever app you’ve received them in, but in terms of actually making edits you’ll need another app. 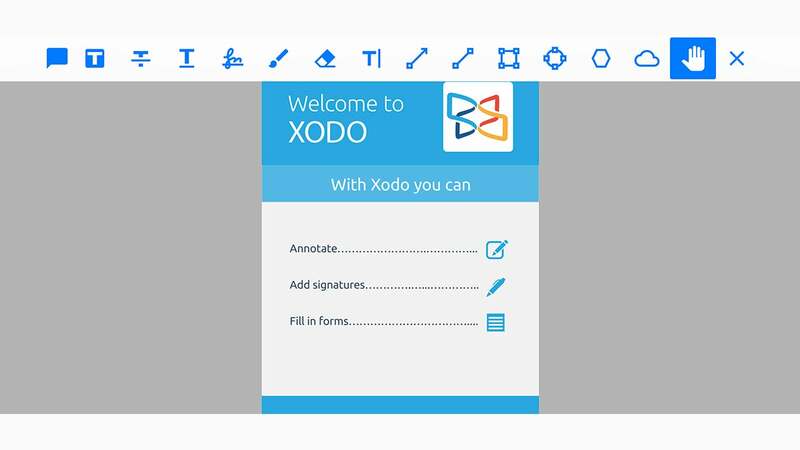 One of the top options here is Xodo for Android and iOS (free), which covers just about everything you’re going to need: annotations, PDF form filling, digital signature support, easy integration with cloud services, and so on. If you want another option then we can also recommend Foxit MobilePDF for Android and iOS (free). It doesn’t have quite as many features as Xodo, but you can annotate, stamp, and sign PDF documents using the app, as well as convert files between PDF and several other popular file formats. It may not happen as commonly as with office files, but there might well be occasions when you need to edit an audio file using your mobile device. The freemium MP3 Cutter for Android is an obvious choice, if you’re on Android and you’re dealing with MP3s—it boasts an easy-to-use layout, straightforward trimming tools, and a built-in option for setting a file as a ringtone. Over on Apple devices, Hokusai Audio Editor for iOS (freemium) has earned a lot of fans. It includes multitrack editing, filters and special effects, a choice of import and export options, and integration with various cloud services (including iCloud and Dropbox). It’s just about as advanced as audio editing gets on a phone or tablet. TwistedWave Audio Editor for iOS (£10) is also worth a mention: It’s packed with features and effects, though isn’t as intuitive to use as Hokusai. 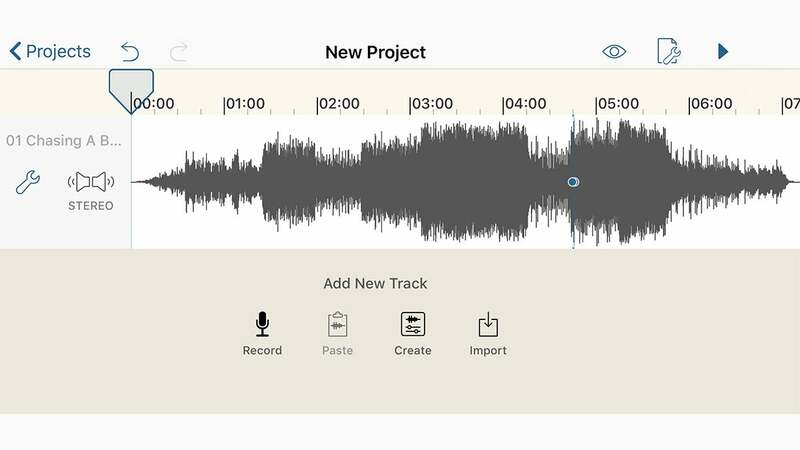 In terms of cross-platform apps, we like WavePad Audio Editor for Android and iOS (freemium), which largely sticks to the basics of audio editing and effects but does them well, and Lexis Audio Editor for Android and iOS (freemium), which isn’t the most sophisticated of options but makes simple edits very easy to do. You’re likely already familiar with editing images on your phone, even if it’s just with the default Photos (iOS) and Google Photos (Android) options that come with your handset. Apple and Google have gradually added more and more features to these tools, and they’re now good enough that most users probably don’t need a third-party app. If you do want to take your mobile image edits to the next level, Adobe Photoshop Fix for Android and iOS (free) lets you do everything from warping objects in images to brightening up shadows, all with a few taps. You don’t have to be a Creative Cloud subscriber (Adobe’s subscription service) to use the app, but you can save files to the cloud if you are. 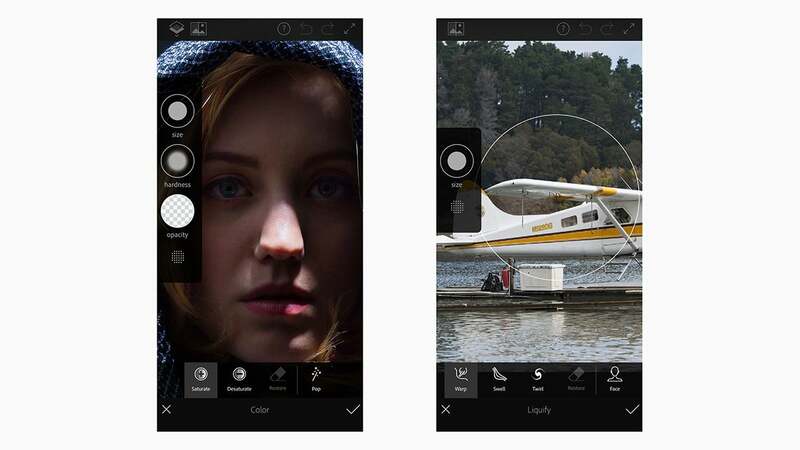 The Google-developed Snapseed for Android and iOS (free) is another excellent image editor for mobile, bringing together a host of editing and adjustment tools for your photos while staying relatively simple to use. Afterlight for Android and iOS (£3) is among the best options here too, with everything from Instagram-style filters to advanced colour curve management available to help get your photos looking their best. If you just need to trim videos, you can do this via the editing options that pop up in both Photos for iOS and Google Photos on Android. Getting unwanted bits of the action chopped from the start or the end of your clips is as easy as dragging along the timeline using your finger on screen. 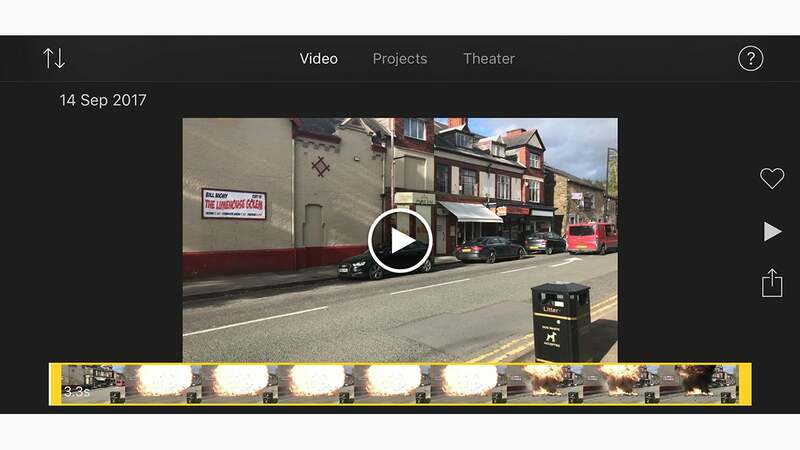 Those of you who are after a more advanced set of video editing features can try out Apple’s own iMovie for iOS (free), which lets you combine clips, trim and cut footage, add filters and text, and so on, or GoPro’s Splice for iOS (free), which covers a lot of the same ground in an interface that’s slightly friendlier and easy to get around. Neither of those options are available on Android, unfortunately. Among the best cross-platform options we’ve found is Adobe Premiere Clip for Android and iOS (free), which packs a surprising amount of functionality into a lightweight and intuitive interface. We’d like to give a mention to FilmoraGo for Android and iOS (freemium) too, which can be restrictive in what it allows you to do but is also capable of getting some great results quickly.